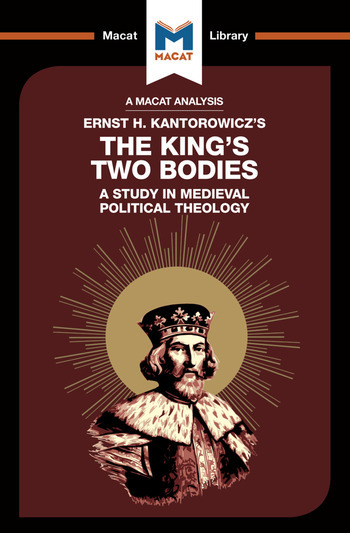 Few historians trace grand themes across many centuries and places, but Ernst Kantorowicz's great work on the symbolic powers of kingship is a fine example of what can happen when they do. The King's Two Bodies is at once a superb example of the critical thinking skill of evaluation – assessing huge quantities of evidence, both written and visual, and drawing sound comparative conclusions from it – and of creative thinking; the work connects art history, literature, legal records and historical documents together in innovative and revealing ways across more than 800 years of history. Kantorowicz's key conclusions (that history is at root about ideas, that these ideas power institutions, and that both are commonly expressed and understood through symbols) have had a profound impact on several different disciplines, and even underpin many works of popular fiction – not least The DaVinci Code. And they were all made possible by fresh evaluation of evidence that other historians had ignored, or could not see the significance of. Dr Simon Thomson teaches at the Ruhr-Universität Bochum. He received his doctorate in Medieval Literature from University College London and is the Editor, with M.D.J. Brintley, of Sensory Perception in the Medieval World: Manuscripts, Texts and Other Material Matters.